At Christmas time, scallops always make their way into my Kitchen. I don’t get chance to eat them very often because of their cost so they become an indulgent treat at Christmas. 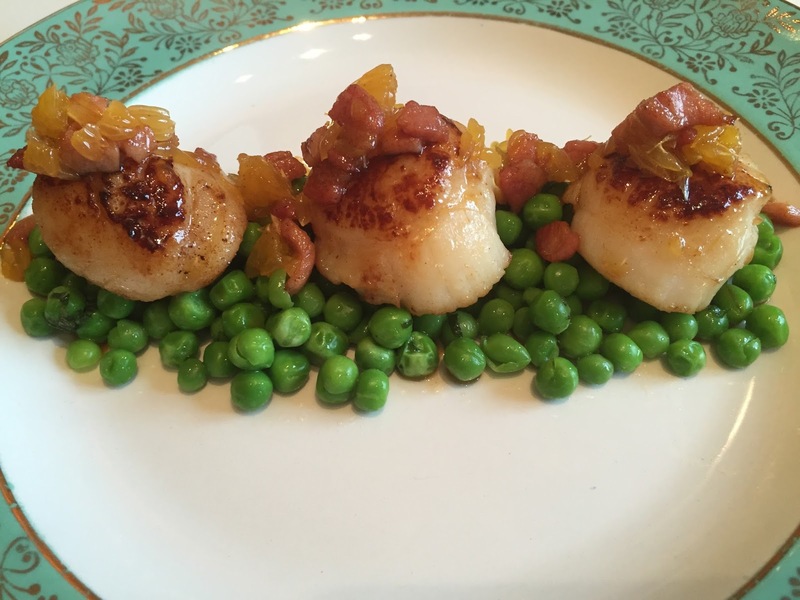 I have done many starter recipes with scallops so I thought I would share one of my festive ones with you. 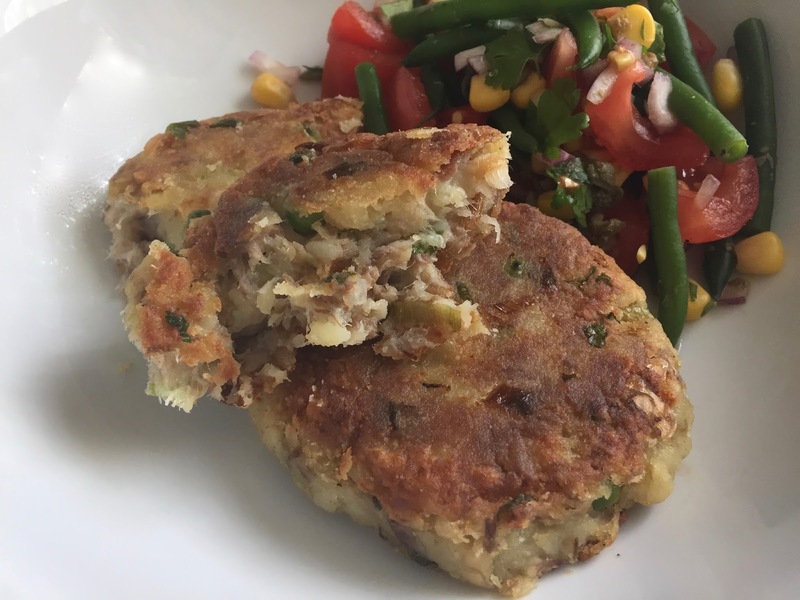 Scallops are a great starter for Christmas Day or anytime really over the festive period as they are so quick to cook plus they only need a few ingredients alongside as you don’t want to overpower their sweet subtle taste. Personally I find if you buy large scallops, 3 can be ample for each person but thats your choice. 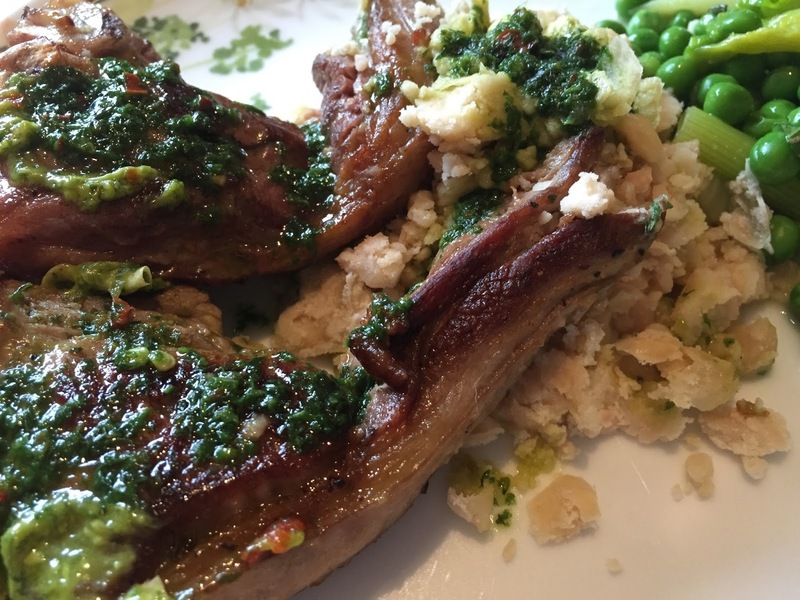 This recipe you will be able to knock up in 15 minutes to impress your guests. A festive, seafood, showstopper that really is simple to do. 3 clementines segmented keep the rest for juice later. Chop your bacon into very small squares. Fry in a hot frying pan for a couple of minutes, just until starting to colour. Pop aside on a plate leaving the fat in the pan. Pop some boiling water into a saucepan and empty in your peas. Boil for no more than 2 minutes as you want to keep their colour. Drain, add a knob of butter and your chopped mint, shake and cover with a lid. Set aside. To cook the scallops, add a knob of butter and a splash of rapeseed oil to the frying pan and heat until hot but allowing not to burn. 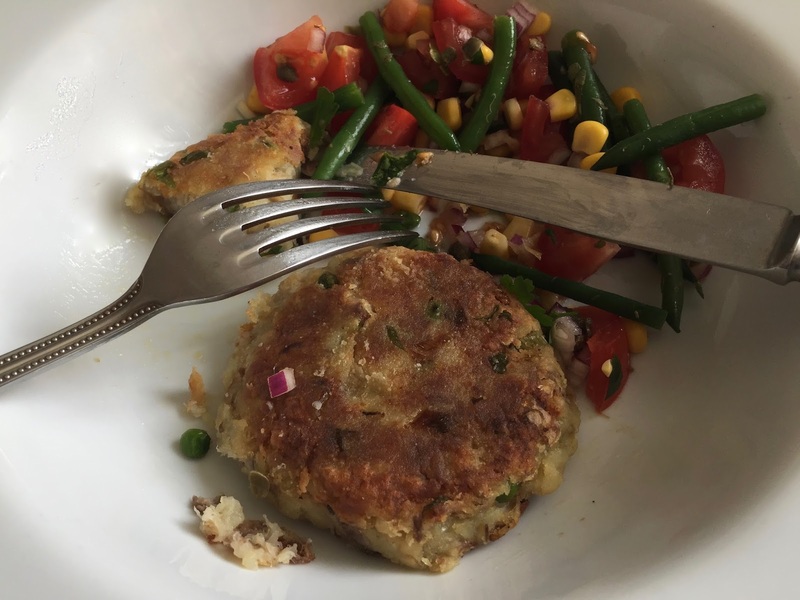 Place your scallops in the pan and cook for roughly 2 minutes, do not turn until caramelised on each side. Then do the other side. 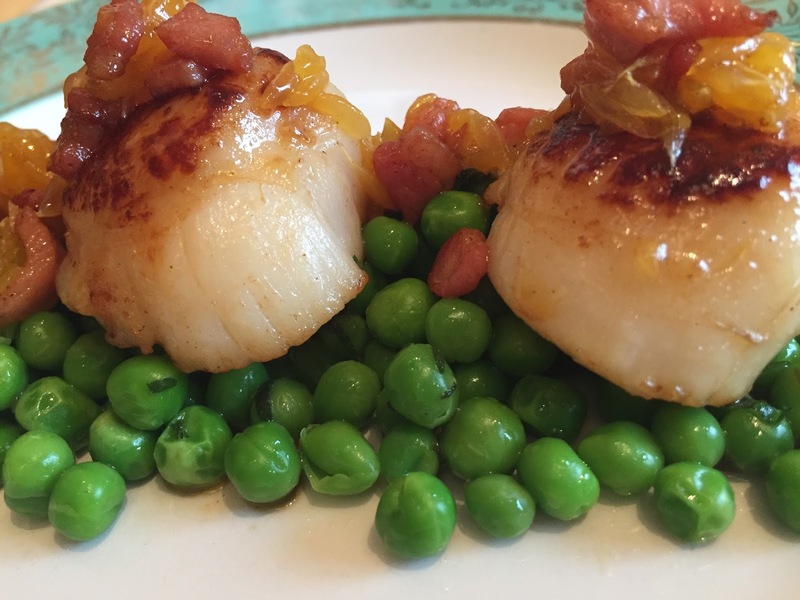 Set your scallops aside onto a warm plate and then add your bacon back into the frying pan, deglaze with your wine and reduce down for about a minute. Add in your clementine segments and a little spritz of the juice. Once reduced to a syrup texture you are ready to plate up. 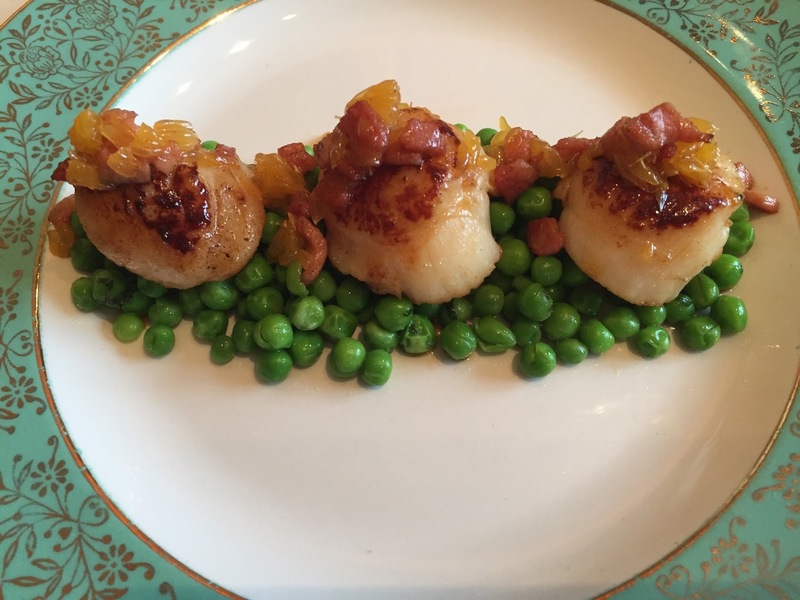 * Place pea mixture onto the plate, top with your scallops and pour over your bacon and clementine syrup. 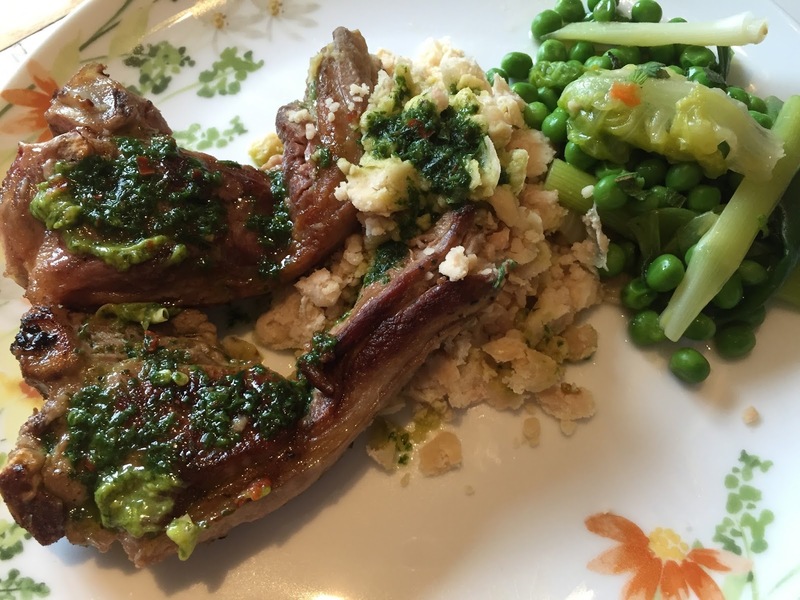 I actually wrote this Recipe for my column ” Quick bite” in the Leicester mercury about 6 weeks ago when Broad Beans and peas were at the peak of their season but Ive decided to share this now still as I love this dish and regular make it. 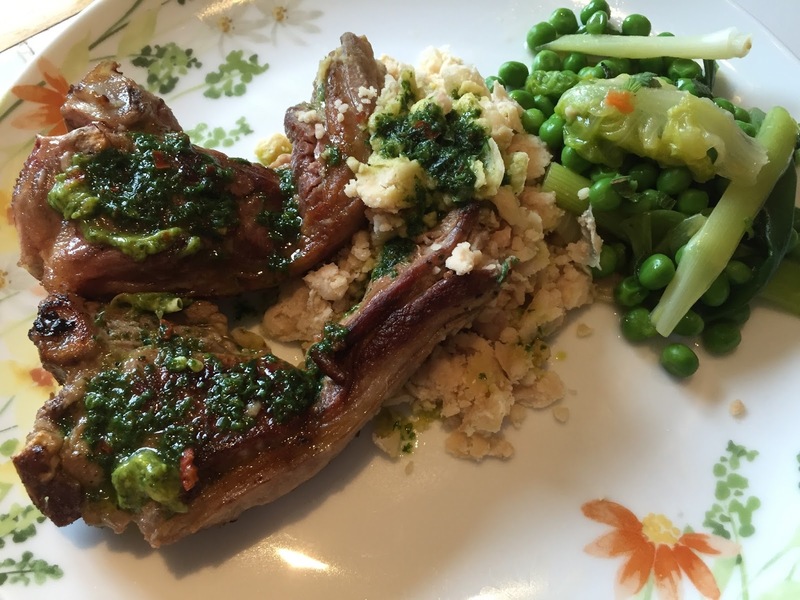 Peas are still around at the moment ( August ) and you should still find some Broad beans as they sometimes can go on till September. 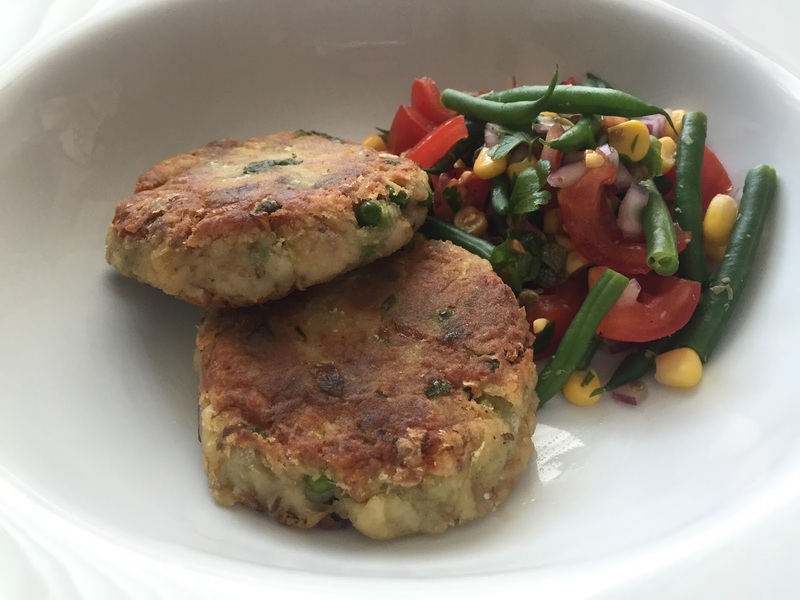 If for some reason you can’t get them now, Courgettes will be a good substitute. 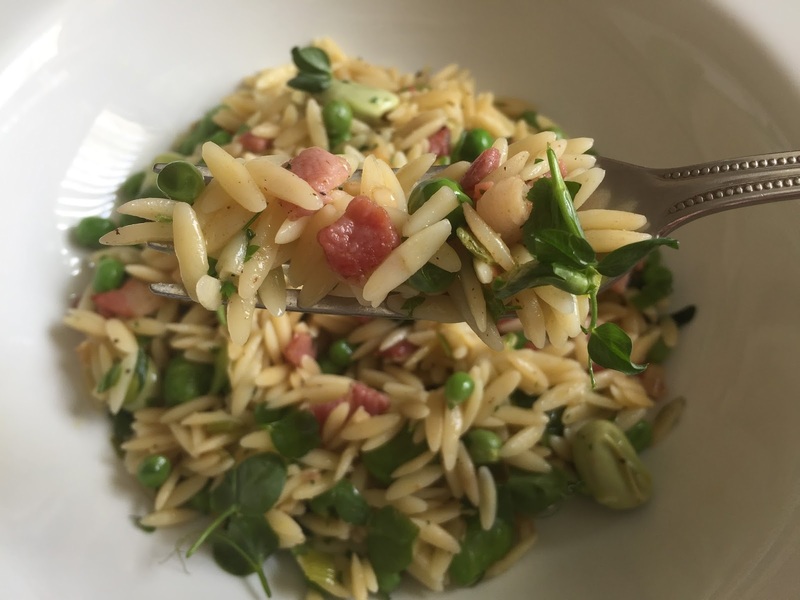 Broad beans and Peas are in the height of their season at the moment so I wanted to show you a different way of cooking these lovely pulses. Broad beans and peas as baby first pickings, like I had, should be enjoyed for their flavour so you shouldn’t by any means over cook them. Im growing both in my kitchen Garden, so if you are too, this is even more fantastic. 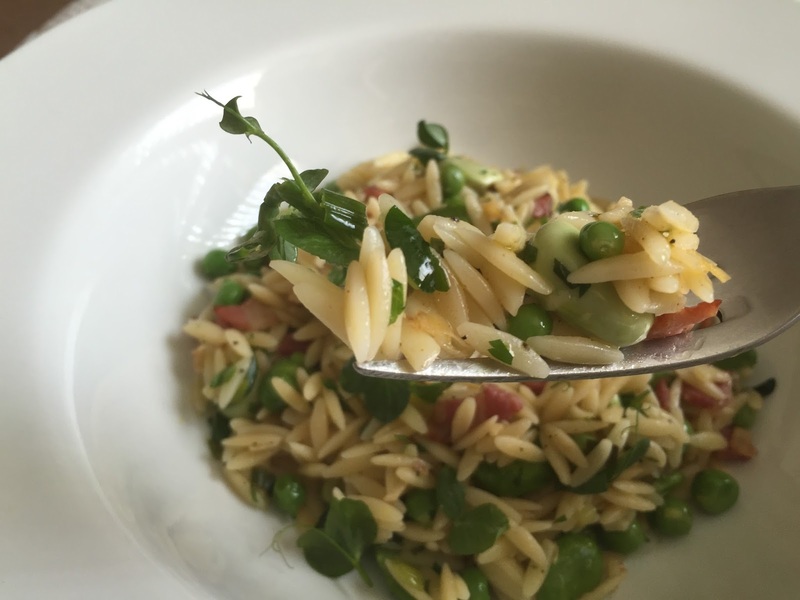 Ive teamed them up in this recipe with Orzo which is a great little pasta shape, sometimes confused for being a grain almost like rice. I use this quite a lot in cooking as its light, very quick to prepare and most things will go with it. Plus, it’s great to have as a salad the next day for lunch. 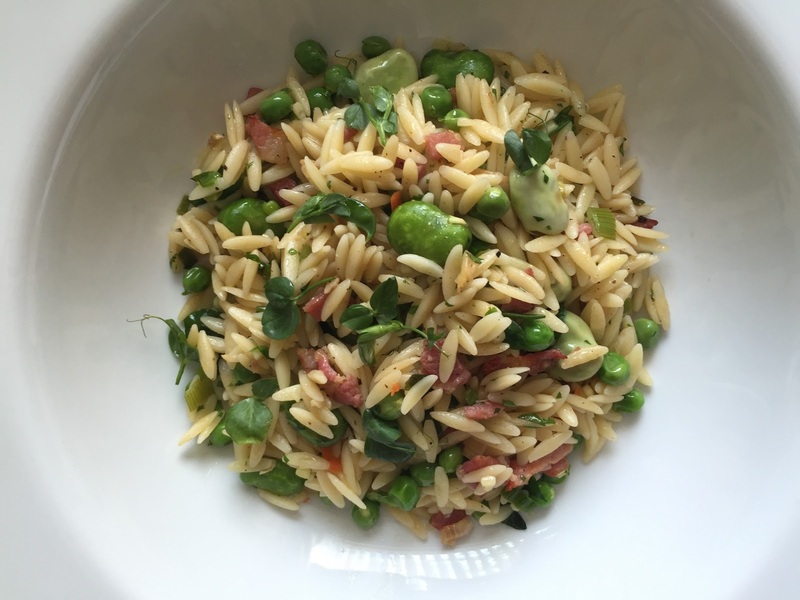 Ive also teamed these seasonal beauties with some added bacon, one for colour and the saltiness it gives will bounce off the sweetness of the peas. 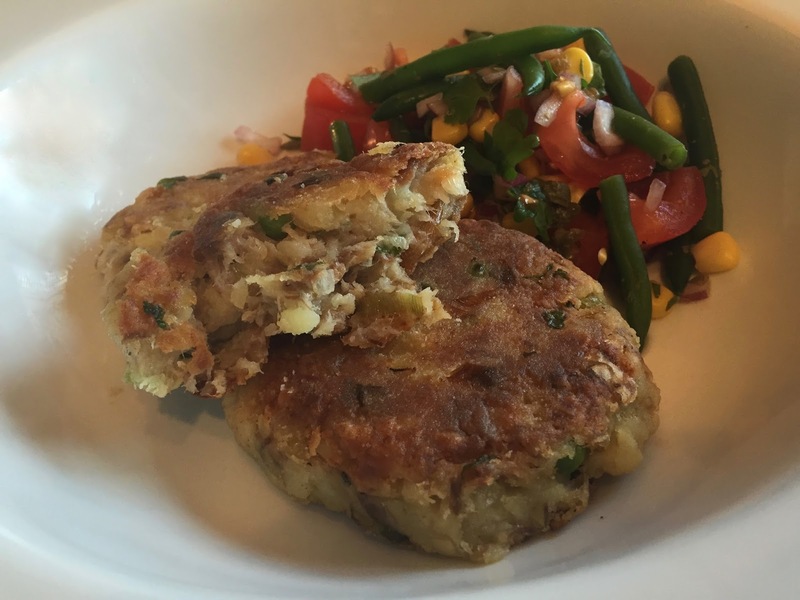 I also find that this dish is very refreshing so you won’t feel heavy after it. 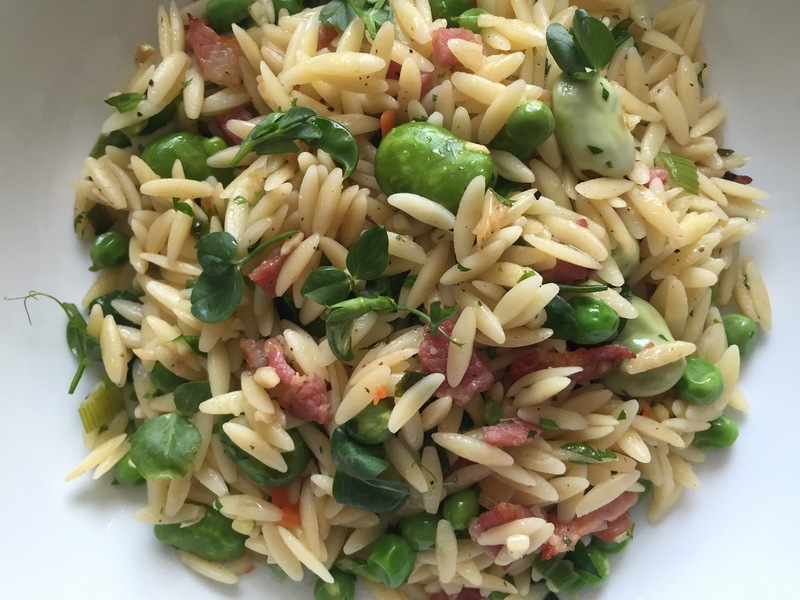 So if you’re unsure of a way to cook broad beans and you’re not quite sure wether you like them, have an abundance of fresh peas or even if you have a packet of orzo in your cupboard gathering dust, do this recipe now. Fry off the Bacon for a couple of minutes till its starts to crisp and turn a golden colour. Add your Garlic and Spring onions, cook and stir for about another minute. 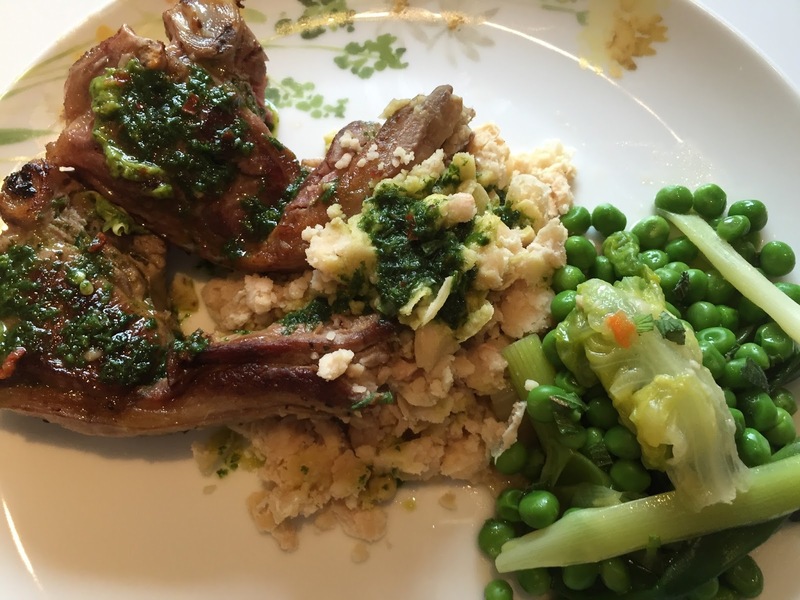 Pop in your fresh broad beans and peas and cook for a bout a minute or two, not allowing your garlic to burn. Add your chicken stock, stir, reduce down after a minute or two and then add your parsley and seasoning. * Make a final stir, taste, add your shoots if you have them, serve and dive in there.